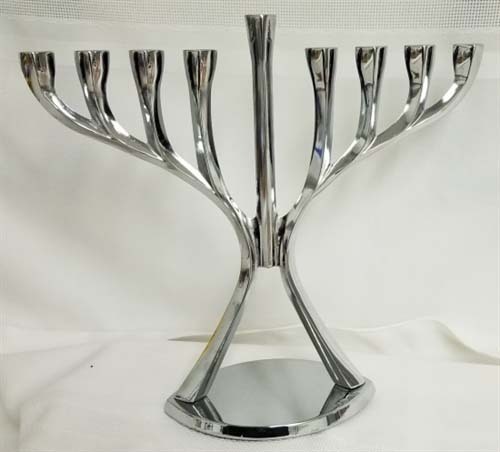 Your Hanukkah candles,will glow in this beautifully sculpted aluminum modern design menorah. 8.25" x 9.25" . A family treasure for now and years to come!